Everett is a scenic, culturally rich waterfront community and Snohomish County’s largest city, located just 25 miles north of Seattle. It may best be known for hosting the world’s largest building by volume which is part of the Boeing assembly plant for its famed jetliners, but it also happens to be home to the U.S. west coast’s biggest public marina which makes it a very popular place to live and visit for boating enthusiasts. The Port of Everett Marina provides moorage for over 2,300 boats and is surrounded by multiple eateries and shops offering beautiful waterfront views. Everett waterfront real estate homeowners can enjoy easy access to this and much more in what’s becoming one of the state’s most highly esteemed waterfront communities. 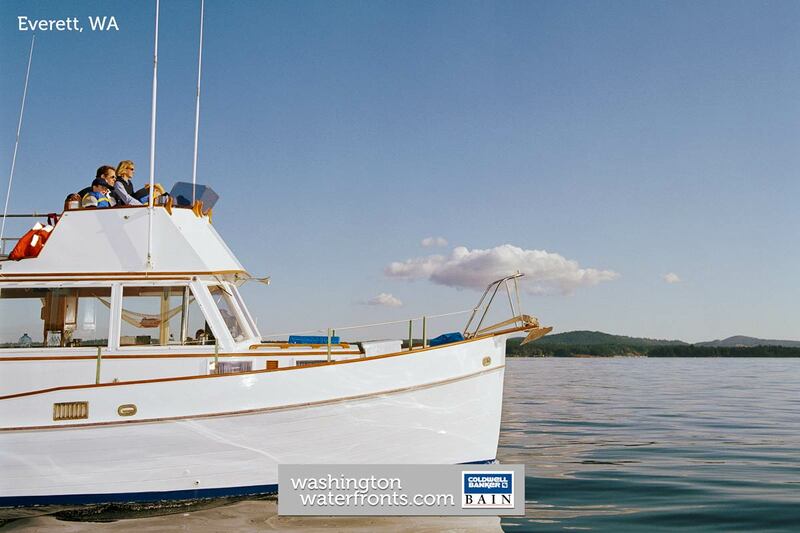 Everett waterfront real estate owners enjoy the ideal base for exploring the San Juan Islands and the myriad of other islands of Washington’s west coast, and north up to British Columbia. It also provides the best of urban amenities, including world-class shopping and dining, a fantastic farmers market, free summer concerts at The Landing, while the best of the great outdoors, with parks, mountains and the waters all at your door step. While you may be able to fish right from home, the city is also famous for its Coho salmon that return to many streams nearby, with the annual Coho Derby hosted to celebrated it. With Everett home to lakes, rivers and the saltwater of the Puget Sound, there are a wide range of options for Everett waterfront real estate as well as outdoor adventures. Look forwarded to dipping your toes in the sand and wading in the warm shallow waters of Jetty Island just off the coast, paddling one of the four major river systems that offer kayaking and rafting, as well as hiking and biking the trails. The home style options among Everett waterfront real estate are just as diverse as the many activities here, making it easy to find your ideal place to move in or build.